I took a short blog break after 14 weeks on the road. Headed up to hang out with grandson’s #3 and #4, and Niki and Derek, for a few days. I havent been up been up there in 6 months and it was wonderful to see them! I did not take a break from writing though. I managed to get in a few hours everyday. And in case you’re wondering I’m not going to tell you what I’m working on. 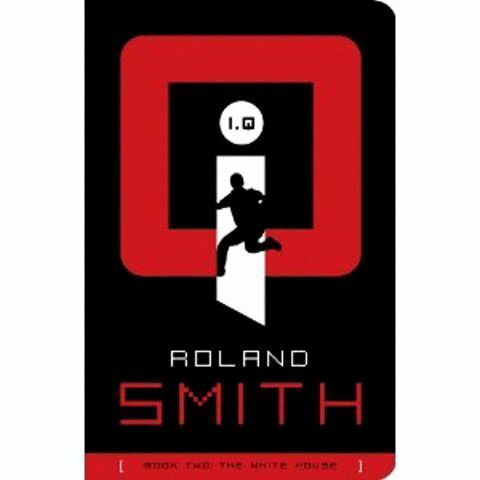 But I can tell you that IQ2 The White House has “gone to press” which means that it has been sent to the printer and with luck it will be in stores in 3 or 4 weeks. They are printing it in paperback and hardback at the same time. I will let you know when it is on the shelves. Just a reminder for those who might have missed the post. I’ve set up a Face Book Fan Page. You can access it here: Just hit the “Like” button on the top of the page and you’re on. No friend confirmation needed. And I have a contest on the page. I’m going to give away 10 hardcover signed copies of Cryptid Hunters when we get to 5,000 fans. We’re almost hallway there! Great to hear about IQ2. I was thrilled to see IQ1 on the Sunshhine State Readers list for 2010-2011. Enjoyed seeing you at FAME this year (you said my hair smelled good) and hope to see you in many years to come. One of my favorite talks you did at FAME, quite a while back, was about your writing process. Loved it! Thanks so much fro writing!!! I lvoe your books! They give me so much inspiration! I love them, I am going to D.C. tomarro with my school and can’t wait to see the white house! Reminds me so much of IQ2. I can’t wait to read it! I have read all of your books! Glad to hear that IQ2 is on its way!I have many students who are waiting patiently, sort of. Me too! As for the mystery novel, are you going to offer any clues about it any time soon? Or is it going to remain a secret until it is published? A cryptid novel?! It is so hard to be patient, but so worth the wait!! You’re welcome! Have fun in DC. That is one of my favorite cities. Hi Debra. Thanks! I couldn’t be happier about I,Q1 making the Sunshine State List. ← Lakeside Elementary & East Middle School. Grand Rapids, MI.